For decades the tobacco industry misled consumers by withholding revealing scientific data on the deadly health risks of smoking. Today, the sugar industry is in the spotlight for its role in downplaying the damaging health risks of excessive sugar consumption on cardiovascular health. According to a newly published article in the Journal of the American Medical Association (JAMA) Internal Medicine, the early signs of the relationship between sugar consumption and coronary heart disease first emerged in the 1950’s. The journal researchers found that a group known as the Sugar Research Foundation (SRF) funded research executed by a team of Harvard scientists. Without disclosing their funding, the SRF set the objective, and contributed articles for inclusion. Their goal was to cast doubt about the health hazards of sugar, while promoting fat as the dietary cause of heart disease. The Harvard researchers concluded that cutting out fat, not sugar, was “no doubt” the best dietary intervention to prevent coronary heart disease. 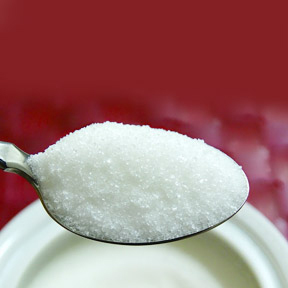 JAMA researchers found that SRF’s internal documents revealed the sugar industry’s successful attempt to influence scientific study and debate. Circumstantial evidence indicates SRF shaped the conclusions of the Harvard review published in 1967. The review, led by the chairman of Harvard’s Public Health Nutrition Department, who was also an ad hoc board member of the SRF, minimized the significance of research that implicated sugar as a coronary health risk, while also influencing public health recommendations for reduced dietary fat consumption. Consequently, as people followed recommendations to eat less dietary fat, sugar consumption rose, along with obesity, metabolic syndrome, heart disease, diabetes and Alzheimer’s. Well into the 1970’s, the sugar industry continued to fund similar research surreptitiously. When asked to comment on the recent findings, the SRF admitted they should have exercised “greater transparency” of its industry funded studies, and added that “funding disclosures and transparency standards were not the norm they are today.” Though the documents that were examined are five decades old, this practice persists. The food industry continues to spend millions on nutrition research, while policy making committees continue to base dietary recommendations on food industry-funded studies. New York University Nutrition scholar, Marion Nestle, PhD, MPH, who spent a year informally tracking these studies found that approximately “90 percent of studies funded by the food industry resulted in outcomes that favored the sponsor’s interest.” It appears that when the food industry funds research, it often gets the pro-industry desired conclusion that it paid for. “The longstanding influence of food industry funding on nutrition research, researchers, and professional societies threatens the credibility of nutrition science,” says Nestle. During a seven-month period, Nestle identified 76 industry-funded studies. Of these, 70 reported results favorable to the sponsor’s interest. Independently funded studies have found correlations between sugary drinks, obesity and poor health, while studies funded by the soda industry did not. Research funded by the National Confectioners Association concluded that children who eat sweets have healthier body weights than those who don’t. Coca-Cola, the world’s largest producer of sugary drinks, backed a “science-based” solution to the obesity crisis. Coke has provided financial and logistical support to a new nonprofit organization called the Global Energy Balance Network, which works to convince weight conscious Americans that they simply need to exercise more rather than be overly concerned about how much fast food and soda they consume. In truth, many Americans do need to be more physically active. However, they also need to eat smarter, as exercise expends far fewer calories than most people realize. Independent scientific research indicates that limiting intake of high glycemic foods, such as refined carbohydrates and sugary foods and drinks, greatly impacts weight management. Sugar sweetened drinks are the largest source of added sugar in the average American diet. Sugar not only delivers empty calories, devoid of fiber, vitamins, minerals and other health promoting nutrients, it may also crowd healthier foods from the diet. Studies show that those with high sugar consumption have a higher risk of cardiovascular mortality, even when they also consume heart healthy vegetables and fruits. How does sugar harm the heart? Cardiovascular disease is mainly associated with atherosclerosis, a condition in which fatty plaque deposits build up in the linings of blood vessels and restrict blood flow. A 15-year study on added sugar and heart disease found participants who consumed 25% or more of their daily calories as sugar were more than twice as likely to die from heart disease than those whose diets included less than 10% added sugar. This major study published in JAMA found that a sugar-laden diet raised the risk of cardiac morality even in those who were not overweight. A high sugar diet has been shown to cause abnormalities including high total cholesterol, high triglycerides, insulin resistance, oxidized LDL cholesterol, low HDL cholesterol, and abnormal glucose tolerance, all of which are implicated in heart disease. Sugar’s overall effect on these numerous health markers is likely more detrimental to overall health than consumption of saturated fat, which can increase LDL, but at the same time raise HDL. Sugar contributes to insulin spikes and the inflammation that harms the fragile endothelial lining of blood vessels, and promotes obesity, prediabetes and diabetes type 2, putting those with these conditions at greater risk of atherosclerotic coronary heart disease. The American Heart Association recommends no more than 6 teaspoons or 100 calories a day of added sugar for women, and no more than 9 teaspoons or 150 calories a day for men. Along with decreased sugar and ultra-processed food consumption, a diet of whole foods, as well as increased exercise is highly recommended for cardiovascular and overall good health. PGX® Daily by Bioclinic Naturals: This proprietary highly viscous fiber blend is formulated to support healthy glucose metabolism by lowering the glycemic index of meals. Fiber viscosity is associated with increased satiety, reduced appetite, improved regularity and healthy weight maintenance. Gluten, wheat, dairy, yeast, and artificial sweetener free. Cinnamon Biotin Chromium Complex by Natrol®: The 100% vegetarian antioxidant complex provides support for sugar, protein, and fat metabolism, and helps maintain healthy blood sugar levels already within the normal range. Gluten, wheat, dairy, egg, sugar, and artificial ingredient free. Chromium Synergy™ by Designs for Health®: This synergistic blend of chelated minerals provides highly absorbable nutrients to assist blood sugar control. Ingredients include zinc, manganese, chromium, taurine and vanadium. Gluten, wheat, yeast, dairy, soy, sugar, preservative, and artificial ingredient free, Non-GMO vegetarian formulation. Alpha Lipoic Acid 400 mg by Pure Encapsulations®: This exceptionally versatile nutrient provides antioxidant protection, as well as support for nerve health, cardiovascular function, and glucose metabolism. Gluten and soy free, Non-GMO vegetarian formulation. Sweet Defense™ by Enzymatic Therapy®: This vitamin, mineral, botanical and glandular supplement provides support for glucose, carbohydrate, and energy metabolism. Along with a healthy diet and exercise, Sweet Defense™ may help manage weight and reduce sugar cravings. Gluten, wheat, soy, dairy, yeast, sugar, and preservative free formulation. This entry was posted in Home and tagged Alpha Lipoic Acid 400 mg by Pure Encapsulations, Chromium Synergy™ by Designs for Health, Cinnamon Biotin Chromium Complex by Natrol, PGX Daily by Bioclinic Naturals, Professional Supplement Center, sugar, Sugar Consumption and Your Health, Sweet Defense™ by Enzymatic Therapy, Vitamins and supplements, www.professionalsupplementcenter.com. Bookmark the permalink.